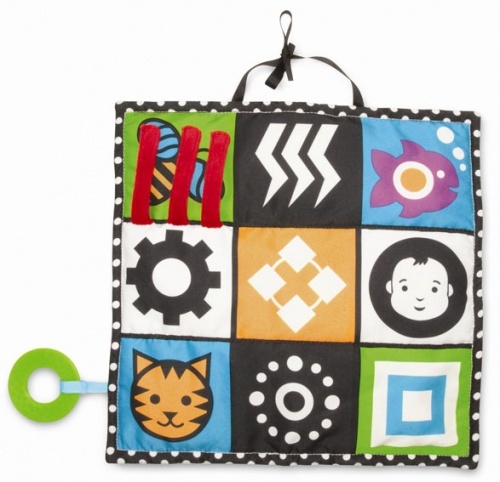 This 3-in-1 Triangle soft fabric activity toy has many features for baby to discover. 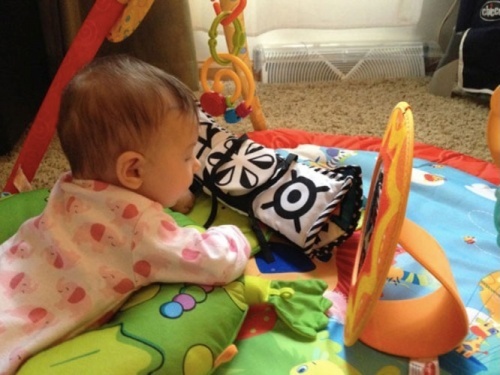 It can hang over the back of a car seat, fold into a triangle wedge, lay flat for tummy time or even stick on the fridge! 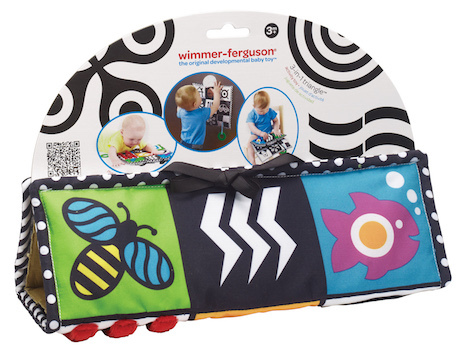 3-in-1 Triangle includes a squeaker, mirror, teether, different fabrics, a rattle and lift up flap flaps as well as fun textures. 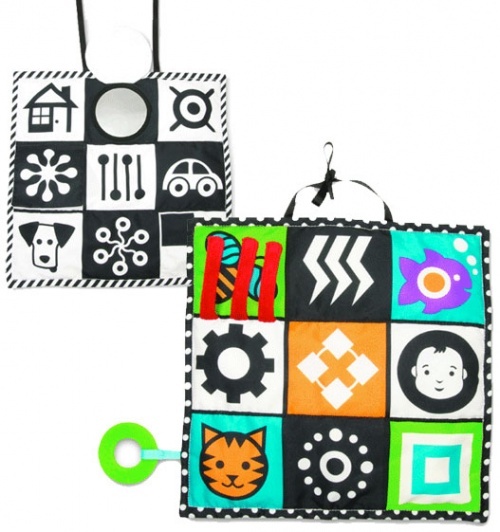 Makes a great item that baby will enjoy at home or traveling!